A Massachusetts State Police Troop F vehicle parked at Logan Airport’s Terminal A. More than 1,000 State Police cruisers will be tracked through a GPS system, allowing top brass to more effectively deploy troopers and keep tabs on them, officials announced Wednesday as part of a slate of reforms to the beleaguered police force. Governor Charlie Baker and State Police Colonel Kerry A. Gilpin confirmed the agency was also dissolving the problem-plagued Troop E, which had patrolled the Massachusetts Turnpike, and reassigned troopers to other units. 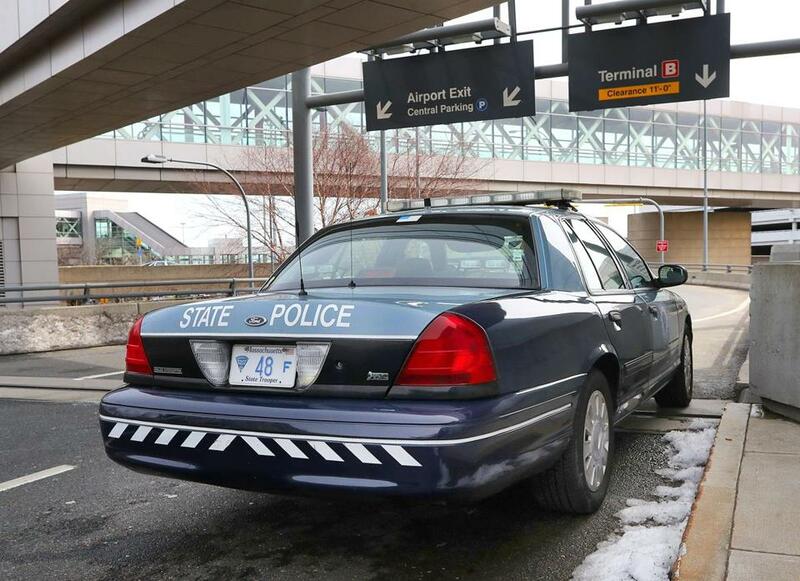 Meanwhile, dozens of troopers are being shifted to the Logan International Airport division in an effort to cut back on extraordinary overtime bills there. In announcing the restructuring Wednesday, Baker and Gilpin followed up on a month-old pledge to repair the reputation of the state’s largest law enforcement agency. The changes focus on increasing transparency and oversight of the 2,200-member force. “While progress has been made to install new technology, eliminate excess overtime shifts, and determine the appropriate staffing levels for the Turnpike and Logan Airport, there is much work to be done to improve efficiencies and policies at the State Police,” Baker said in a statement. The department is currently at the center of a number of investigations — some criminal, some administrative — and heightened criticism from state lawmakers, some of whom have called for greater oversight by an outside, independent monitor. Here’s a rundown of some of the reforms being made at the State Police amid a wave of recent scandals. The department has begun training troop commanders, captains, and lieutenants in the use of the new GPS technology, officials said. But these changes could face significant pushback. The State Police Association of Massachusetts, which represents the bulk of the force, said last month it believes the union contract calls for such sweeping changes to be negotiated and not thrust on troopers. A spokesman declined to comment Wednesday. In March, the Globe reported that members of Troop F — which patrols Logan International Airport in Boston and other Massachusetts Port Authority-owned properties — had been racking up tens of thousands of dollars in extra paythat had been hidden from public view and not filed with the state comptroller. On Wednesday, officials said the addition of new troopers to the unit is intended to reduce overtime hours by as much as 40 percent. At least 54 members of Troop F made more than $200,000 last year, records show. Some troopers earned more than $150,000 in overtime alone. Records suggest, however, a previous influx of staff did not have a lasting impact on knocking down overtime. In 2012, State Police and Massport agreed to boost Troop F’s staffing by 20 troopers. Records show overtime spending dipped the next year by about 12 percent to $4.59 million. But overtime spending has risen significantly every year since. Last year, $9.45 million was spent on overtime for Troop F.
Revelations earlier this year about Troop F spending followed allegations of overtime abuse by 30 troopers in Troop E, which long patrolled the Mass Pike. The troopers allegedly filed timesheets for shifts in which they didn’t work. Attorney General Maura Healey’s office is reviewing Troop E’s alleged overtime abuses for potential prosecution. Part of the recently announced reforms also include hiring an independent auditing firm to assist State Police in assessing overtime policies and record management. Gilpin said Wednesday her department has begun quarterly audits of its top 50 pay earners to flag any questionable payouts. The results of these audits, she said, will be made public. 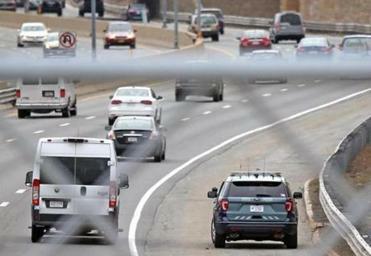 The Globe revealed last week the state has failed to pay taxes on tens of millions of dollars doled out to countless troopers since the 1970s for driving their own cars to work. Following these revelations, officials vowed to scrutinize staffing levels and to study a plan for the Boston Police Department to work more in concert with State Police in the Seaport District. The two agencies have been locked in a long tug of war about who polices the blocks along the South Boston Waterfront. But officials have opted to delay a decision on oversight of the area. Gilpin and Baker said Wednesday the Massachusetts Port Authority and State Police will create a five-member committee to study Troop F staffing levels and report its “initial review” within two months. Part of that review “will inform future discussions with the Boston Police Department on Seaport patrols and safety,” the statement said. In the wake of the announcement, Boston Police Commissioner William Evans said he had recently spoken with state leaders and was encouraged by discussions about solving the Seaport jurisdiction dispute. Evans said Wednesday he was assured that those talks will continue and urged state leaders to move swiftly. Kay Lazar can be reached at kay.lazar@globe.com Follow her on Twitter @GlobeKayLazar. Matt Rocheleau can be reached at matthew.rocheleau@globe. com.